In this week’s rant of “it seems like all I hear about nowadays is…” I’m taking an unpopular view on multitasking. *Cue the dramatic sound effect*. Literally all I hear about lately is people nagging on multitasking. But what if we use our multitasking to be more purposeful in our everyday? Now, don’t get me wrong. I sure do dig the present moment. I practice yoga whenever I can. One of my yoga teachers taught me this great meditation that goes like this: when you’re distracted, envision that distraction on a leaf, and the leaf falls from the tree into the river, and then the leaf harmoniously floats away down the river into oblivion… Yeah, that made me fall asleep too. Moving on. There’s nothing that gets me more excited than efficiency. In layman’s terms, efficiency can be defined as “the least amount of effort possible for the best achievable result”. I try to practice efficiency with regards to multitasking. Specifically, I partner a purpose that is important to me with “the easy way” to do it, and get other tasks achieved at the same time. The result: mindful multitasking. It does exist! Here are 3 practical ways that I mindfully multitask in my everyday life. The 3 suggestions are geared towards helping you be healthier mentally, physically, and environmentally. 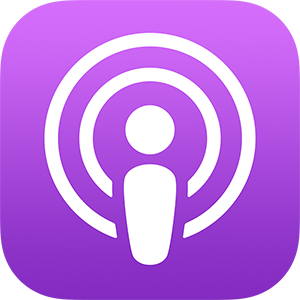 Podcast overview: Podcasts are like the modern day talk shows. Typically, a podcast will have a theme per episode and a time limit of 20 minutes to 1 hour, depending on the show format. Podcasts often include interviews with interesting people from outside of the show. You can listen to podcasts on all sorts of topics: politics, crime, comedy, music, business, you name it. I personally listen to the TED RadioHour, Radiolab, Modern Love, The Outside Podcast, and This American Life. There are so many other wonderful shows out there to satiate your podcast craving! If you already listen to podcasts, leave a reply with your recommendations so I can check out your favorites. You can find most podcasts online or through a podcast app on your mobile device. Where to find Podcasts: For iPhone users, there’s a built-in Podcast app on your phone. All you do is open the app, and wah-la, free podcasts waiting for you. I recommend downloading them ahead of time so you can keep listening to them even if you don’t have cellular service. There’s also plenty of other apps with great podcasts. For other devices, if your phone does not include a podcast app, you can download podcasts straight from the source, like from the Podcast sections on New York Times or NPR Podcasts. Why Podcasts are relevant to multitasking: Podcasts help me stay educated efficiently. As a full-time graduate student, I also work part-time, which requires a 40 minute commute back and forth to work each day. Not to mention, I try to balance family and friends, volunteering, exercising/clean eating, and getting outside. Since podcasts are auditory, they are excellent for multitasking. Prime activities for podcast listening are when you’re cooking, exercising, cleaning, driving, walking the dog, or getting ready in the morning. Another form of podcasts are audiobooks. Study while cleaning? Sign me up! As a graduate student, I constantly read business books for class. Audiobooks help me efficiently finish my homework AND do another activity at the same time. There are many great sources for finding audiobooks. You can physically purchase books on CD at book stores like Barnes and Noble, or Amazon has an app called Audible to download audiobooks onto your mobile device. Glorified napping overview: If you’ve ever wanted to sleep and receive physical benefits at the same time, glorified napping- err- I mean “yin yoga”– is for you. During a yin yoga class, an instructor guides you through holding floor poses for a few minutes at time. Holding poses for longer time intervals creates a deep stretch that goes beyond muscle relaxation and into your joints. Why yin yoga is mindful multitasking: Practicing yin once a week helps me prevent injury from other athletic activities and alleviates any pain I’m experiencing. Plus, at the same time, I basically get to nap. I leave class feeling completely stretched out and better rested. Yin yoga is great when paired with a “yang” activity, such as a cardio sport or a more energetic style of yoga. Everything in moderation. Where to find it: Most yoga studios will have yin classes a few times a week. Look for yin yoga on their schedule. A great example of a simple guide to single-stream recycling. What it is: Single-stream recycling is so easy. Gone are the days of meticulously sorting through your trash to separate glass from plastic. The future is now. Dump all your recycling into one bin (please follow the protocol for your city’s system), and you’re done. Recycling doesn’t have to be a big burden. Here’s how I do it: I simply purchased a second trash can for inside my kitchen that is for recycling-only ($5+). Then, I printed out my city’s single-stream recycling guidelines- it looks similar to the recycling guidelines above. I taped that picture onto my in-home recycling bin for immediate reference. Now, whenever I am cooking or opening packages, I immediately recycle in that moment, rather than going back to do it later. Most of the outdoor recycle bins provided by your trash collection system have the guidelines physically taped on them for single-stream recycling, or you can look online at your city’s official website. I strongly encourage purchasing a recycle-only trash can for inside the home. It makes all the difference in the simplicity of recycling. My household recycles more than we throw away. Seriously, it’s so easy. Why single-stream recycling is mindful multitasking: I think recycling took a long time to catch on for the modern lifestyle because it used to be a hassle. Now, anyone can do it with minimal time and effort. You can recycle while you’re doing other tasks like cooking, cleaning, and tearing open packages with Barbarian vigor. It is so important to recycle. If you don’t want them to install a landfill in your backyard, do your part and recycle. I hope my few tips on mindful multitasking help make your week be healthier mentally, physically and environmentally. Do you have another suggestion to mindfully multitask? Leave a reply below to let me know what you think!